Last Game: Last night in Portland, the Pens won 5-0. They connected three times on the power play and Tristan Jarry collected his third shutout of the season with a 34 save shutout. For Providence, the Bruins lost in overtime 5-4 to the Springfield Falcons. Colton Hargrove had a pair of goals for the Bruins in the loss. Last Meeting: November 27 in Wilkes-Barre, the Penguins won 3-0. Matt Murray had a 29 save shutout. 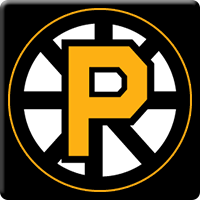 Why you should care: Penguins look for a winning weekend when they take on the Providence Bruins who are bolstered by Frank Vatrano who has lit the AHL on fire and a Bruins team who will be scathing mad after getting beat in overtime by a last place Springfield team. The Penguins can expect the best from Providence and the Bruins will be expecting the best from Wilkes-Barre. Other Game to Watch: There isn’t any snow in Texas, so the San Antonio Rampage host the Texas Stars today at 5 Wilkes-Barre time. Please tell me David Canfield is a new ref and you didn’t mean “Banfield”!!! !